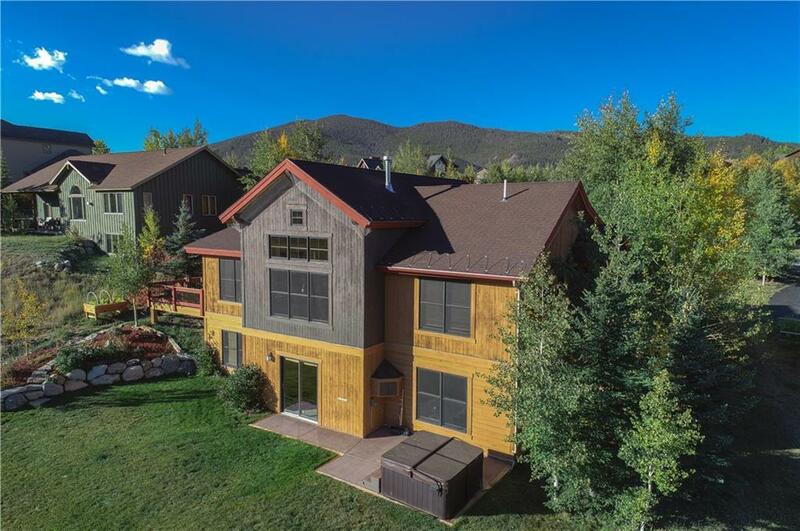 Enjoy magestic views of the CO mtns from this lovely home! Great room, chef's kitchen, master suite, office, laundry, all on the Main. Family room below; walkout to hot tub or play pool, w/wet bar, home gym, 3 more bedrms, extra storage. The lovely, landscaped yard merges into the Soda Ck open space, where the creek flows directly to Lake Dillon. Access miles of hiking/biking. On a quiet cul-de-sac, it's an easy walk to SumCove Elem. Oversize heated 2-car garage completes this perfect home! Driving Directions: Us Hwy 6 Or Swan Mtn Rd To Cove Blvd; Cove Blvd Past Royal Coachman To Next Left Onto Soda Ck Ct. House 3rd On Left. Possible Detour, Summit Drive To Cove Blvd Instead; Follow Detour Signs.